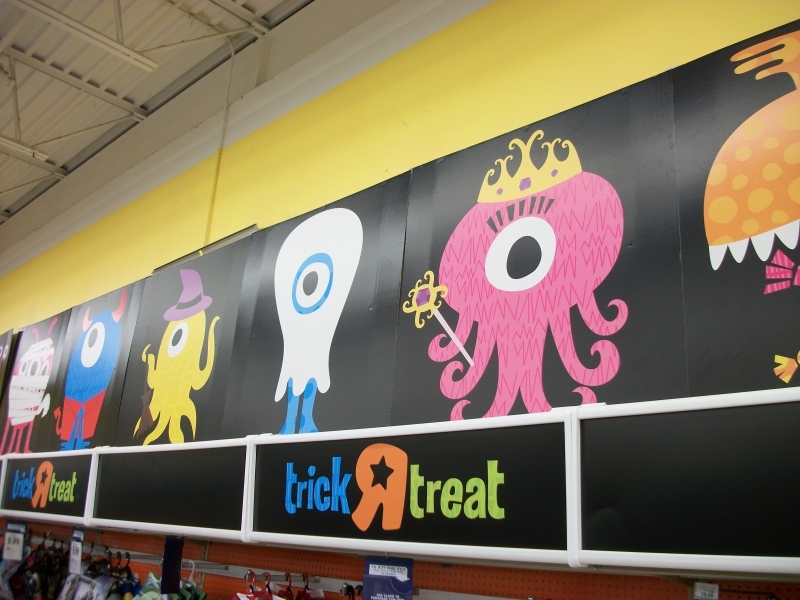 It's too bad the yearly Halloween mascots at Toys R' Us are never really featured on their own merchandise, since this year's batch is especially charming, a bunch of gooey little blobs and tentacled aliens dressed up to collect candy! 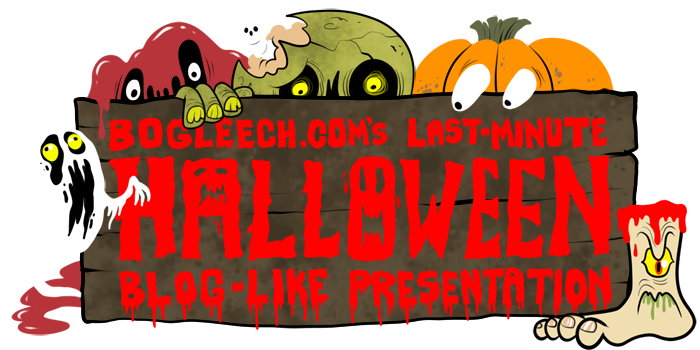 I love how many eyeballs are under the mummy's wrappings, and there's something I especially like about the yellow cyclops in the witch getup, though I think we can all agree that the big candy-eating mouth with feet is the winner of the bunch. 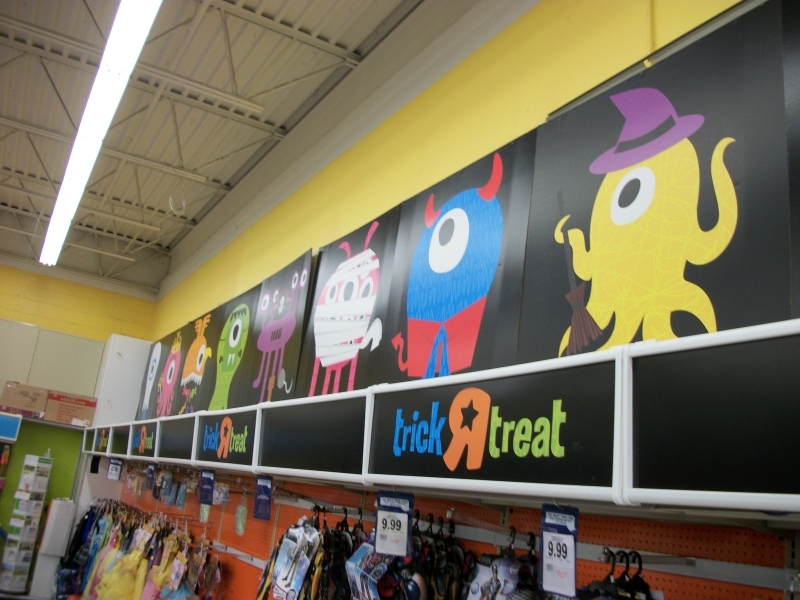 For some reason, every wall sign of him at this particular store was positioned candy-down, making it appear that he's just floating by his feet and barfing out a bunch of candy he forgot to unwrap first. 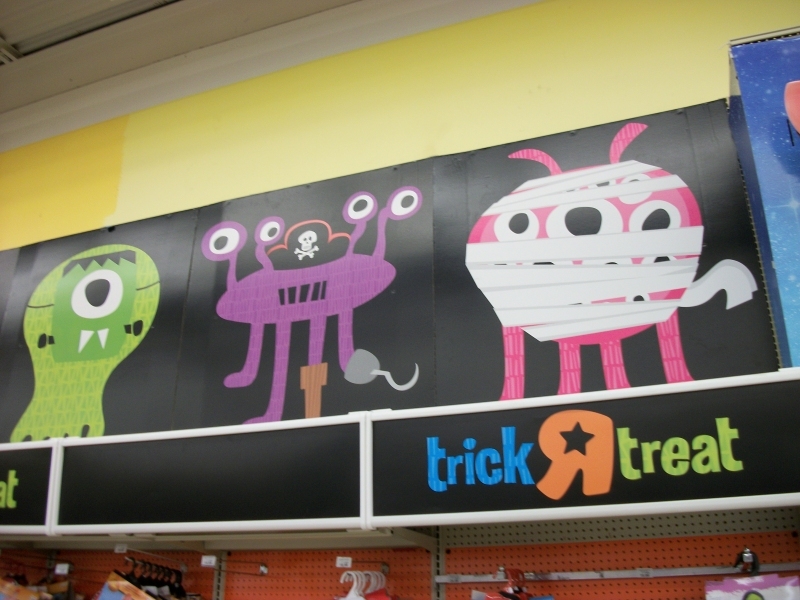 These two treat bag designs are the only actual products with any of these characters on them, neglecting most of the other designs but at least featuring big-mouth, now positioned as a recipient rather than sickly dispenser of candy. 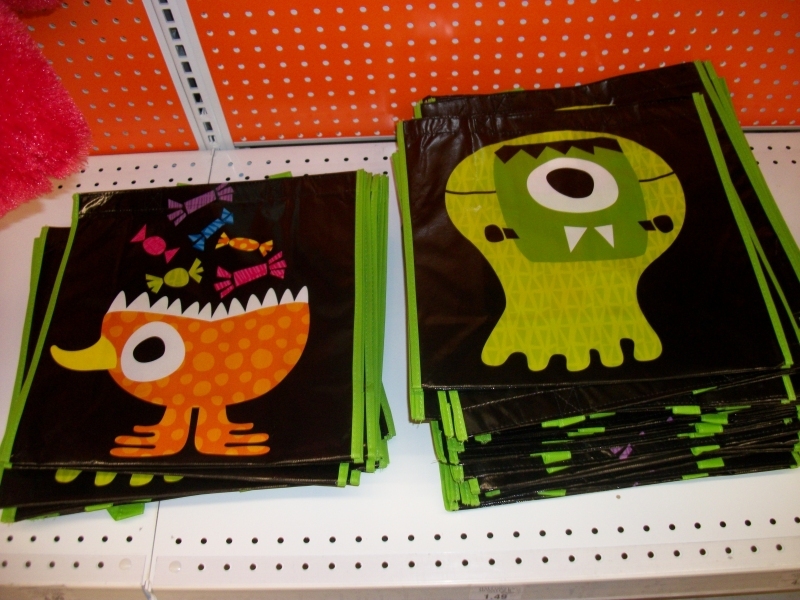 Honestly, would it have killed them to print one of each design on a crappy plastic bag? Or produce even ONE little plastic figure? 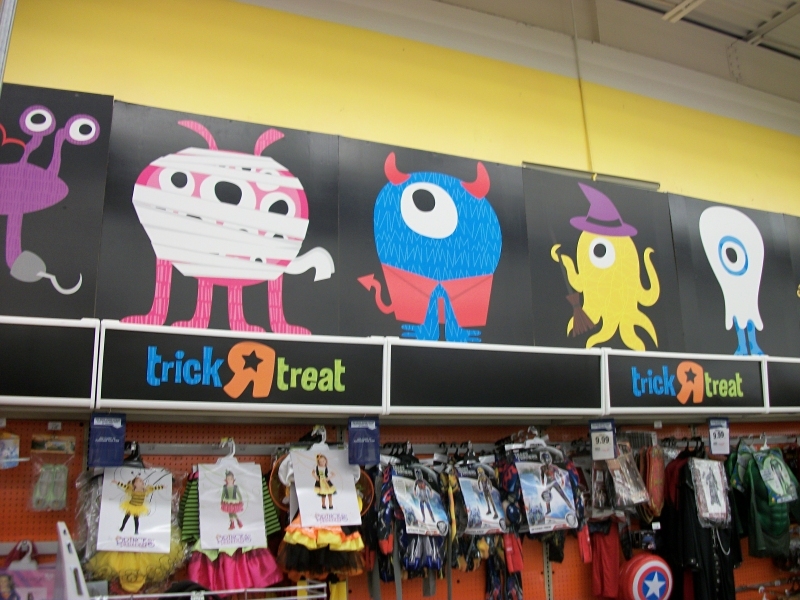 This is Toys R' Us we're talking about, you're telling me they come up with their own crazy creatures and don't put them on toys? 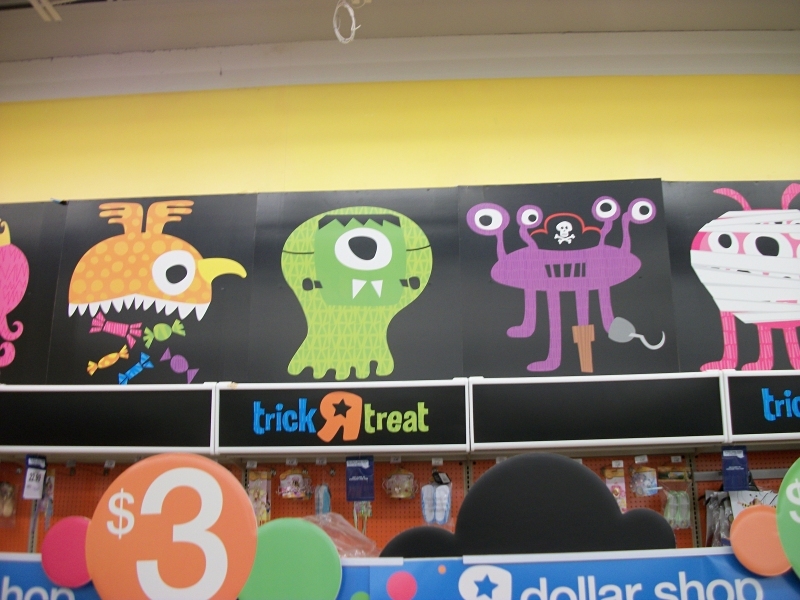 Where's my crappy tube of gumballs with a ten-eyed mummy alien on top?